Dr. Rahimee specializes in internal medicine and provides care to patients 13 years old and above. Dr. Rahimee's special interests include hypertension, diabetes, COPD, coronary artery disease, preventive, and geriatric medicine. 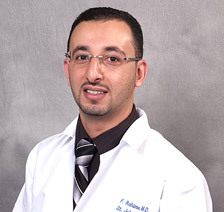 Fuad Rahimee, MD offers services at multiple MI locations.